I am going to warn you now that this is going to be a lengthy and picture-heavy post. 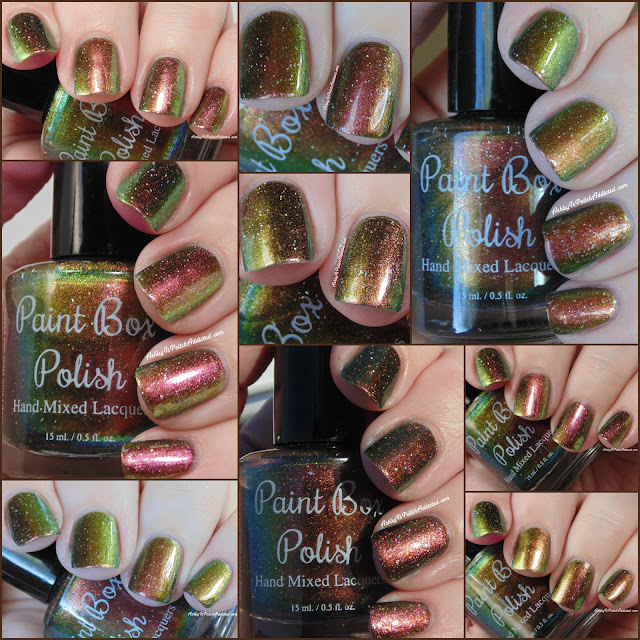 I am going to put the maker's description in italics, show inspiration pics for each polish, and add my thoughts after. 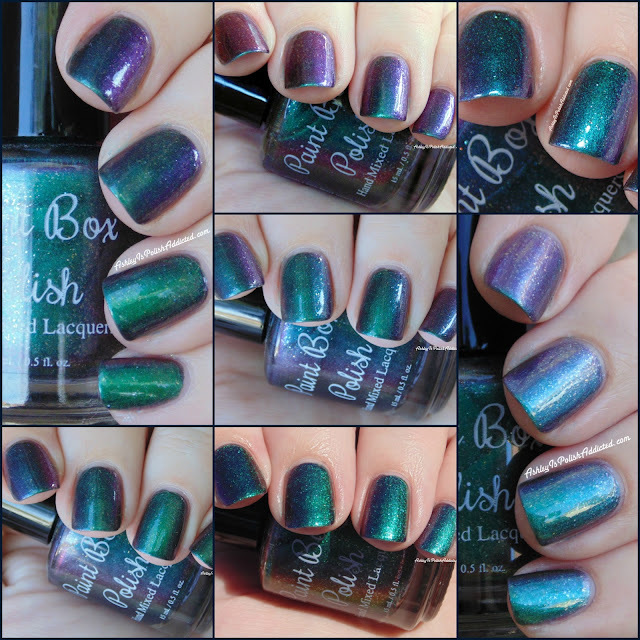 There are two multi-chrome polishes in this collection and I have a lot of photos of both to attempt to show it to you at all angles in different lighting. All of the formulas were smooth and easy to work with, no issues to report at all. Inspired by the scene where The Doctor enters a fighting arena on a tank rocking the guitar. 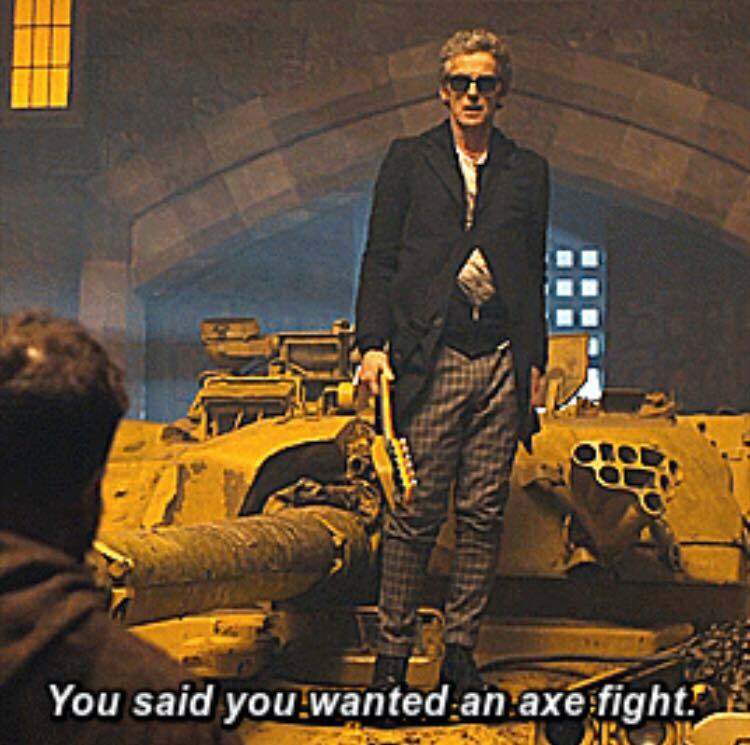 He looks at his Medieval opponent (who is wielding a giant battle axe) and says, "Well, you said you wanted an axe fight." It's a black polish with irregular holographic particles and gorgeous red shimmer. Opaque in two coats. Inspired by The Master, who has now taken the form of the fantastically Victorian and delightfully crazy Missy. She always wears a beautiful plum outfit, so this polish is a matte plum color that is opaque in 2 coats. 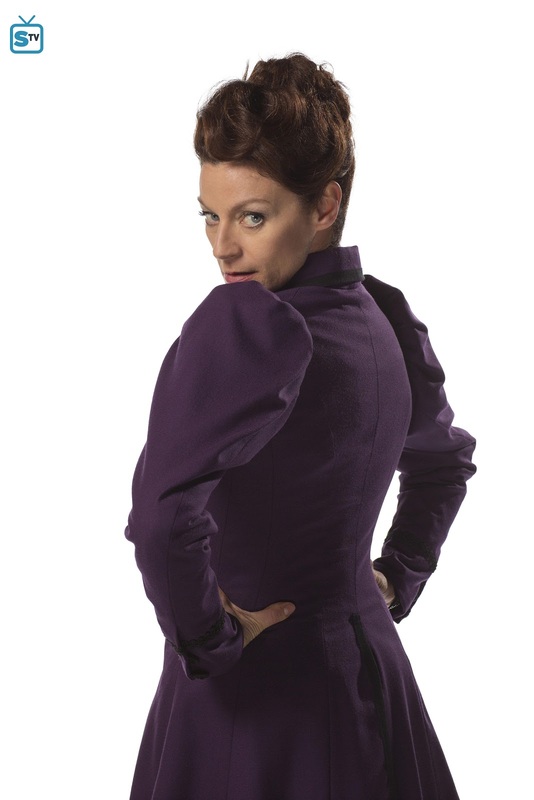 Hey, Missy! is one of my favorites in this collection (though I feel like I could say that about pretty much every single polish). I love mattes and I love purple - especially warm-toned purples! This is a gorgeous matte plum (definitely reminds me of Missy's dress). Typically I don't get great wear out of matte polishes but I've been wearing this one for almost two days and as I type this I only have one nail with some tip wear and no chips at all. I am showing two coats and no topcoat. 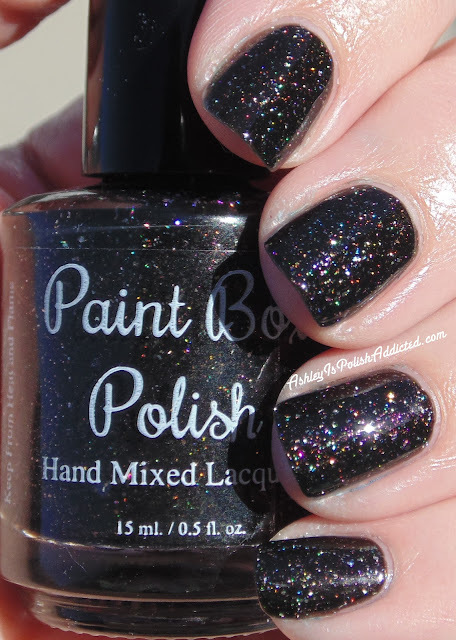 Clara is The Doctor's companion, and here at Paint Box Polish, we think she really likes to steal the show. So, if anyone deserves a glittery, multichrome polish that demands attention, it's her. She often wears outfits in the red/gold/green spectrum, and her polish follows. Some added holographic particles add some extra flash! Opaque in 2 coats. 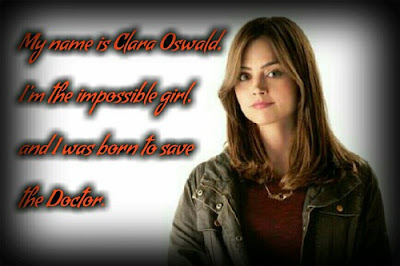 The Impossible Girl is definitely the surprise of the collection - for me. If you've been following me very long you know I'm not usually a huge fan of multichromes. There are some I love, but they have to be extra special and have something that really sets them apart from the crowd, so to speak. I knew when I was looking at this in the bottle that it was very pretty, but it wasn't until I got it on my nails that I fell in love. I seriously could not stop looking at it in all different lights. Red, bronze, gold, green - so many shades and all of them gorgeous! The holo bits really add another dimension to this polish and take it to the next level. Even if you're not a fan of Clara, you'll definitely want this polish. It is also absolutely perfect for fall and winter. I am showing two coats and one coat of topcoat. Hell Bent is one of PBP's favorite episodes in the whole of Doctor Who. 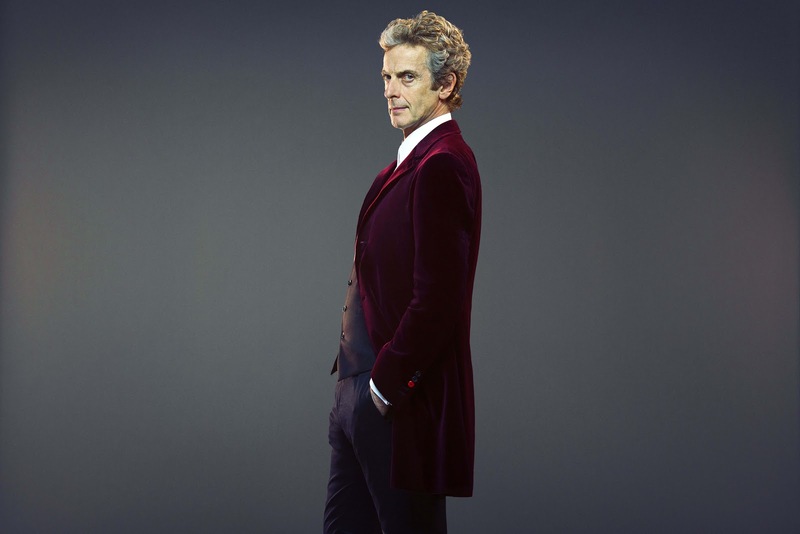 The Doctor is absolutely the star of this episode and he is dramatic and chilling and awesome! He is solving a mystery in a super cool burgundy velvet coat, and this polish is the same color! To give this one some texture, there are plenty of red/gold glass fleck shimmer. Opaque in 2-3 coats. River Song. Another attention-loving, look at me character. But we love her. LOVE her. This polish was inspired by the scene in this past year's Christmas special when The Doctor is trying to get River to realize who he is. The lighting is beautiful and is predominately blue and purple with some green thrown in there. So is this polish. There are also some gold and silver shimmer in there. It's a bit thinner to let the shimmer show through, so you'll need 2-3 coats. Who Are You? 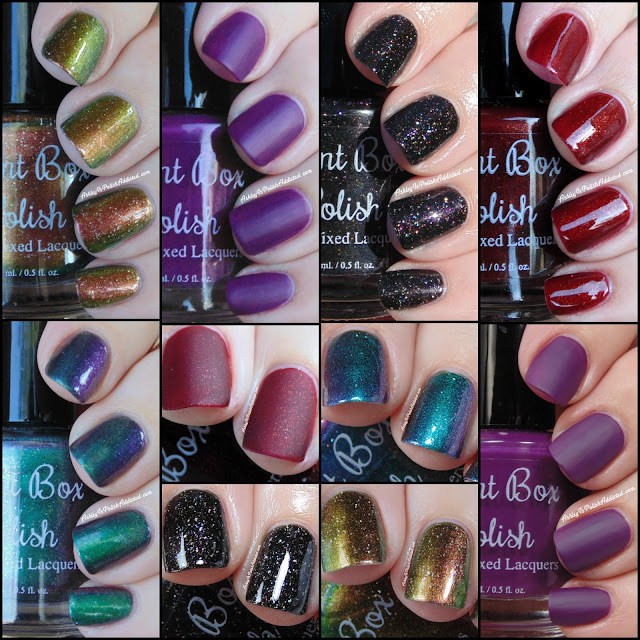 is the final polish of this collection, and the other multichrome. 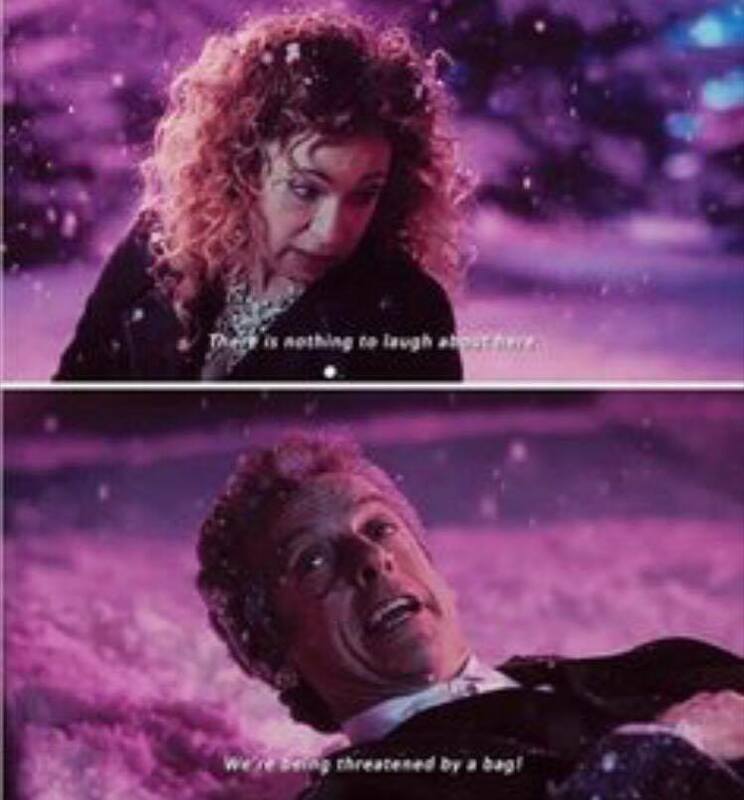 I love this scene; it really set up the whole episode and confirmed that the pairing of 12 and River was going to be just as amazing as I'd hoped it would be! This polish shifts in shades of blue, purple, teal and green and definitely reminds me of the "atmosphere" of this scene. Add in some gold and silver shimmer and you've definitely got another stunner! I used two coats on a couple of my fingers but did add a third to the other two, so 2-3 coats is definitely accurate. And there you have it! What do you think of The 12 Collection? I will be honest with you. I usually don't like it when I see bloggers raving about whole collections because it sometimes feels like they are forcing it. I can honestly say I absolutely love this collection and it's my favorite that Pam has ever done. That's saying something from me because she's done some others that have stolen my heart as well. I truly love all of the polishes in this collection and will definitely be wearing them again. Now for the important info! This collection will be available on Saturday, October 15th at noon eastern time. They will be available in 15 ml full size bottles or 8 ml luxe minis. The full size bottles will be $10 and the minis will be $6, with the exception of the multichromes which will be $11 and $6.50, respectively. Paint Box Polish also happens to make my favorite cuticle oils (she has a ton of new scents in her shop now! ), intense butter balm and mani fizzes. She also has a new top coat and base coat that I haven't tried yet, but will be on its way to me soon. And don't forget, use code ADDICTED for 15% off your order! It never expires! Oh my days! It's been a while since I bought polish but I NEED these. I love Pams polishes so much.